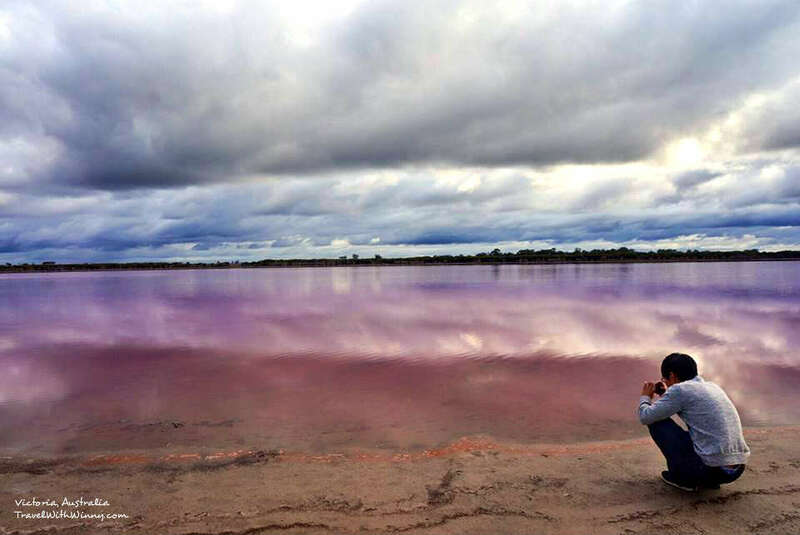 I always believed that Australia’s Pink Lake is very dreamy. I never though we would bump into one of the pink lakes during our travels. This road trip we were travelling from Adelaide to Grampians National Park (Read our travel diary), Great Ocean Road (Read our guide to what to see on Great Ocean Road), Melbourne (Read) and then back to Adelaide again. First time seeing a pink lake in Australia! 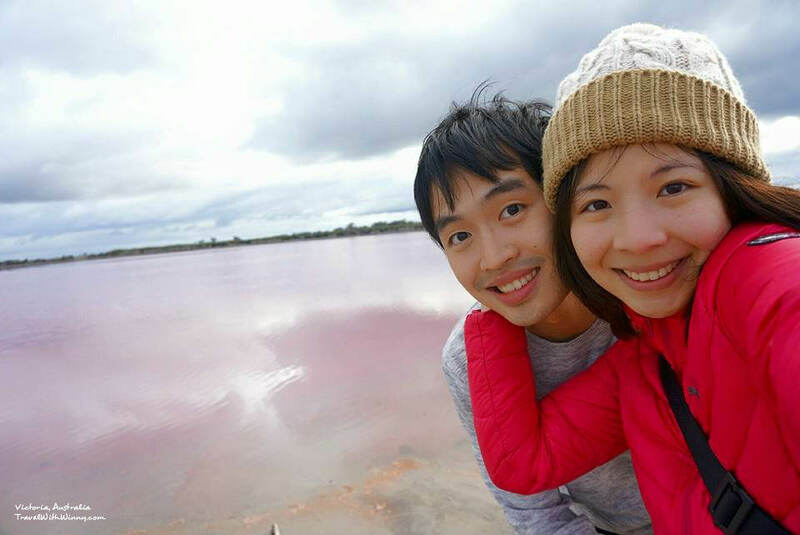 On our way back from Melbourne at a location just past a town, Dimboola, which is close to the The Grampians, we saw this pink lake! Dimboola is the town just after the biggest town in Grampians National Park, Horsham. We were on the High way and we spotted this pink lake which appeared to be red from afar. Although we quickly whizzed past the lake we decided to quickly U-Turn and head back to check out this crazily beautiful nature’s creation. 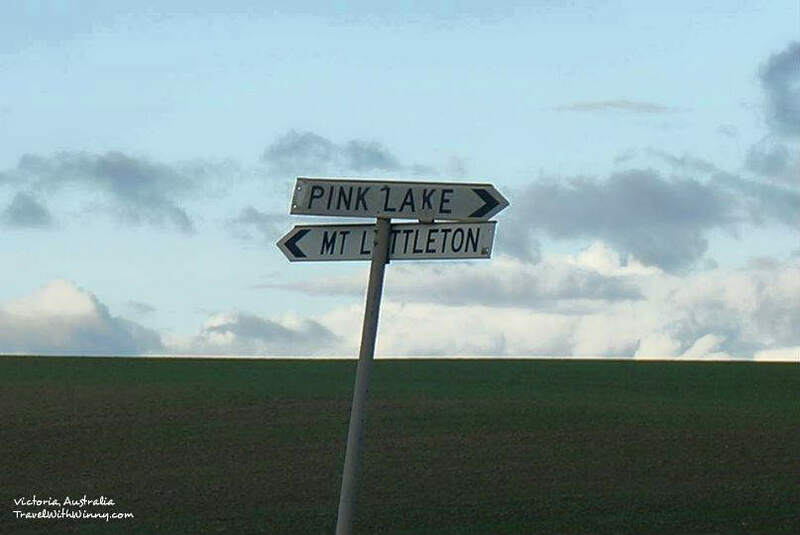 There was absolutely no clear signage around the area except for this puny sign that says Pink Lake. This place was clearly not made to be a tourist attraction and there was absolutely no one around. I immediately thought that this was the pink lake that I red in tourism book but it wasn’t. 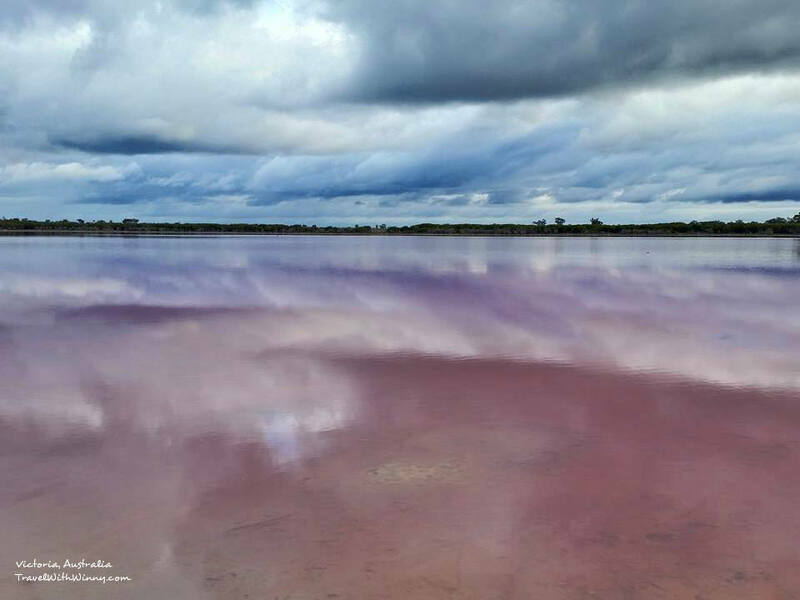 This lake was called Loch Lel pink lake. 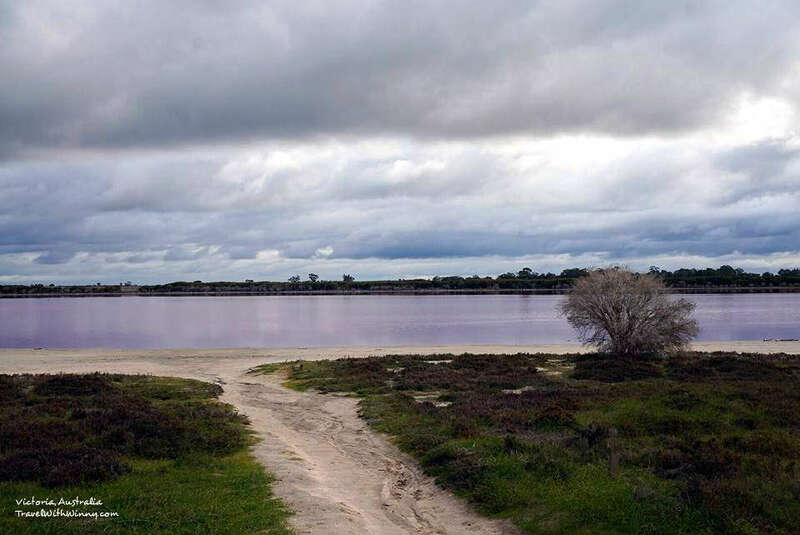 The one I read about was called Pink Salt Water Lake which is located south west of Melbourne in Westgate Park. 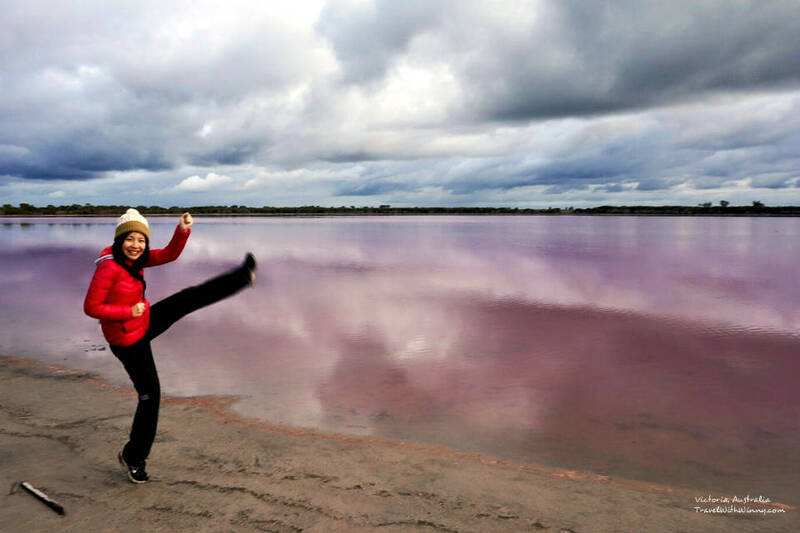 There are actually many other Pink Lakes in Australia. The most famous of the lot is in Western Australia called Hutt Lagoon. However due to environmental changes, there are less and less chances to see that lake turn pink. We were actually quite lucky to see this one pink. pink lake from a distance. There was a small trail that led towards the pink lake. The trail is unpaved, but the pathway was easily to navigate and is very walk-able. The lake turned more and more pink as we get close to the water. The beauty of the lake makes me want to keep taking photos! As soon as we came close to the lake and could see that the reflection is so clear, I knew it was a salt lake. If the salinity in the lake exceeds the salinity of sea water and with sufficient heat from the sun, the algae in the water will start concentrating beta-Carotene. This concentration will cause the lake to appear pink! There used to be commercial salt harvesting on this pink lake using shovels and wheel-barrows and camels to transport. Due to the salinity, there are a lack of vegetation that grow directly next to the waters. This makes the area surrounding the lake appeared like a sandy beach. The pinkness changes in tone depending on the depth of the water as well. The more shallow the water, the more reflection you’ll get from the salt and the water will appear less pink. Unique sceneries Winny has seen Australia increases by one ! We were extremely lucky that day to drive by this pink lake. The waters really appeared like god accidentally poured red paint into it. There are many many salt lakes in Australia. Winny visited another one on the way to Alice Springs called Lake Hart, however that one isn’t pink. 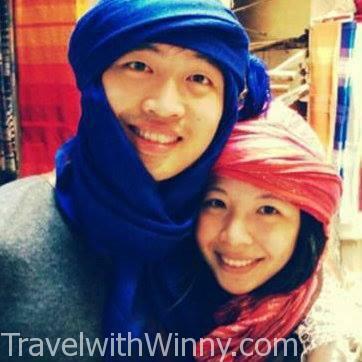 If you travel around Australia, I’m sure you’ll bump into one!